This part was easier than I thought it was going to be. I made some reference marks with a marking gauge about 1 1/2″ from each edge. I used that line and the tongue I had made to fit the panel in the frame as guides. I tried a few different planes before I settled on two that I stuck with. I started on the end grain with my jack plane to remove most of the waste and at the same time, set the bevel angle. Then once I started approaching my guides, I switched to the smoothing plane. I found it best to skew the smoothing plane on the end grain to prevent tear-out. Once both ends were done, I worked the long grain sides. Same process, jack followed by the smoother. I have no idea what bevel angle I ended up with. I just know I like the way it looks, and that’s all I care about. Before I called it done, I did a once over, checking for tear-out and uniform bevels. I used a square on the ends, which did help me locate some areas that needed a little more work. 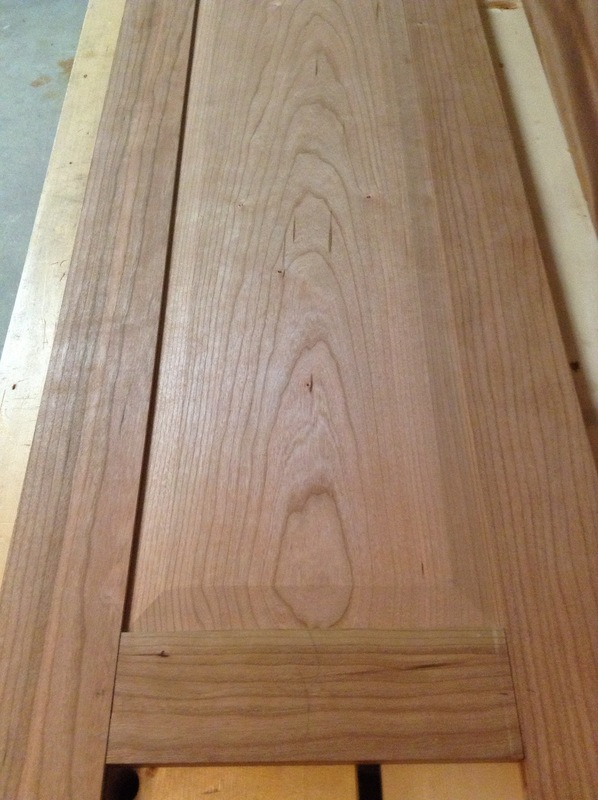 I also paid attention to the corners where the end grain bevels meet the long grain bevels. It’s important to adjust these bevels until they make a mitered corner that points directly into the corner of the frame that is holding the panel. If you can’t achieve this, your eye will pull you away from the corner and it won’t look so good. Of course, most people won’t even notice…except for us crazy woodworkers. Next, I’ll start working on the other frame that will hold the mirror. 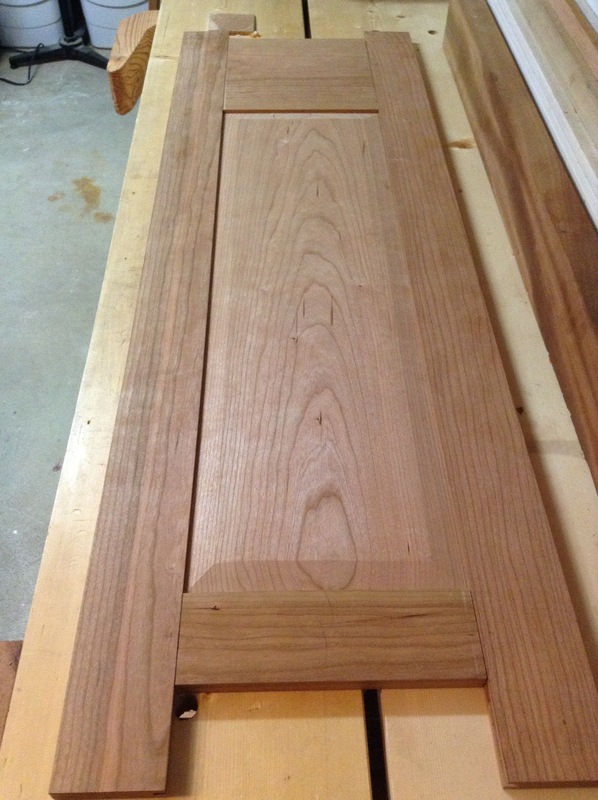 This entry was posted in Chiffonier, hand tools and tagged hand tools, panel, woodworking by villagecustomfurniture. Bookmark the permalink.